With support from the NTO and a dash of ingenuity among a new generation of entrepreneurs, a fresh wave of walking tours has taken off in Hong Kong over the last five years, all wanting to show visitors the local characteristics and colours of the city. The new ideas are, in part, spurred by Hong Kong Tourism Board’s (HKTB) New Tour Product Development Scheme, which was launched in 2012-13 to encourage the local trade to create unique and diverse experiences and tours for visitors to the city. By the seventh round of the scheme in late 2017, about 46 tour products had been launched to date, covering living culture, nature/outdoor, food & wine, heritage and arts & culture. Selected tours are subsidised dollar for dollar, up to a limit of HK$500,000 (US$63,900), for one to three years of marketing support. The initiative has also spurred the growth of small-scale agents specialising in niche products that big operators seldom venture into. One beneficiary of the HKTB initiative is Walk in Hong Kong, which was established in 2014 and currently operates more than 20 curated walking tours routes, mostly covering Kowloon and Hong Kong Island. “Our vision is to unveil various interesting facets of our city. Instead of shopping, we visit old shops, street corners and even cultural scene,” said co-founder and CEO Paul Chan. Finding the city’s tourism products lacking the depth and quality that overseas walking tours offer, Ling Ho established Ho Ho Go Experience in 2015 to offer cultural walks, community tours and hiking excursions; the enterprise has since received HKTB’s funding twice. 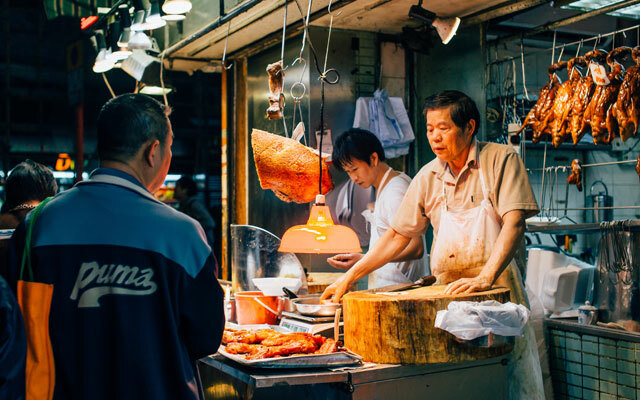 Hong Kong Foodie Tasting Tours is another walking tour operator that focuses on the city’s culinary culture. Tasting locations so far only cover Sham Shui Po, Taipo, Central and Sheung Wan, with more spots to come later this year. Its tailor-made tours are catered for small groups, led by licensed tour guides with an emphasis on interaction and offering knowledge about the local neighbourhoods, director Cecilia Leung told TTG Asia. “We visit small family-run eateries with a unique history behind them instead of large chain restaurants without any character,” she stated. Besides direct online bookings and digital marketing, the outfit also works with travel agents to attract different clienteles. Hotels are also looking for off-the-beaten-track experiences like neighbourhood tours for their guests, noted Chan. Walk in Hong Kong recently collaborated with Marriott Hotels in Hong Kong to provide exclusive tour programmes for its guests. “Unlike traditional operators targeting the mass market with marketing dollars on leaflets for hotels, we sell it online. Young visitors skip asking hotel concierges for information and search online for something unusual,” Chan added. Walking tours are also starting to receive attention from outside the tourism and hospitality sectors, as they are seen as a way to rejuvenate and engage the local community. For instance, Link Real Estate Investment Trust’s four community tours (Kowloon, Stanley, Taipo and Yuen Long where its malls are located) encompassed 20-plus themed tours covering four curated routes to let participants experience the authentic Hong Kong lifestyle from different perspectives. The initiative ended last December, with only the Kowloon Tour still being run upon private request. A group spokesman said Link is currently in discussion with tour operators to explore the feasibility of running the guided tours again this year. While enthusiasm for such immersive walking tours run high, operators acknowledged the challenges of running these programmes. “It’s not easy money and requires immense efforts to nurtue tour guides with passion,” pointed out Leung. Getting experts to lead the tours also translates into higher operating costs. “The key challenge is that a lot of sub-standard operators in the market copy ideas and offer tours at very cheap prices,” said Ho. However, Chan believes that the “emerging” walking tours concept will soon become mainstream when the group tours travel preferences diminish in future and more visitors opt for experiential and immersive experiences.